St Matthew’s Church in Normanton is probably unique in being semi-submerged in a reservoir, such that only the top half is accessible. It is thought that there has been a church on this site since the thirteenth century. We do not know much about the original church, which would have served as the parish church for Normanton, although fragments of stonework discovered in 1911 suggest it had a tower added in the early 1300s. In the 1700s, much of Normanton was pulled down to provide a country estate for the Heathcote family. The church was rebuilt as a family chapel and mausoleum. Most of this new church was in turn destroyed in 1826 when the church was rebuilt in the current Corinthian style. In 1920, the Heathcote family relocated to the north of England, and many of the buildings on their estate were destroyed. The Church of St Matthew stood, isolated, in the fields of Rutland until the 1970s, when it was decided that a new reservoir was needed to meet the needs of South-east England. In 1975, the Gwash Valley was flooded and Rutland Water came into existence. St Matthew’s Church was originally earmarked for demolition, but a public outcry led to it being protected. The lower half of the church was filled with concrete and rubble, and a new concrete base created just below the level of the windows. Because it would have become an island within the reservoir, an embankment was built surrounding it and connecting it to the shoreline. 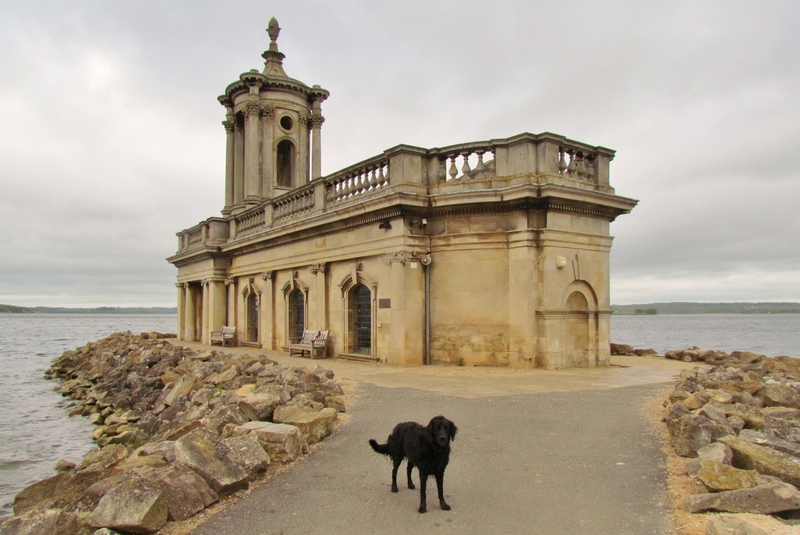 St Matthew’s Church now houses a small museum, detailing the history of Rutland Water from prehistoric times. It can also be hired for weddings and functions. 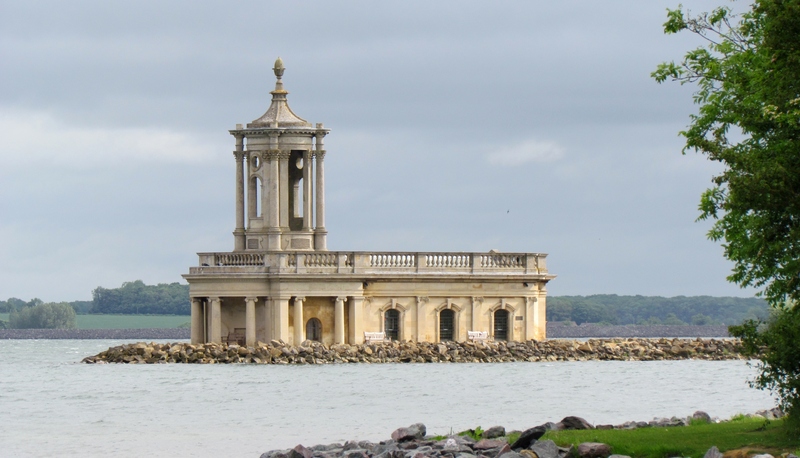 Normanton Church is an iconic symbol of Rutland, England’s smallest county. 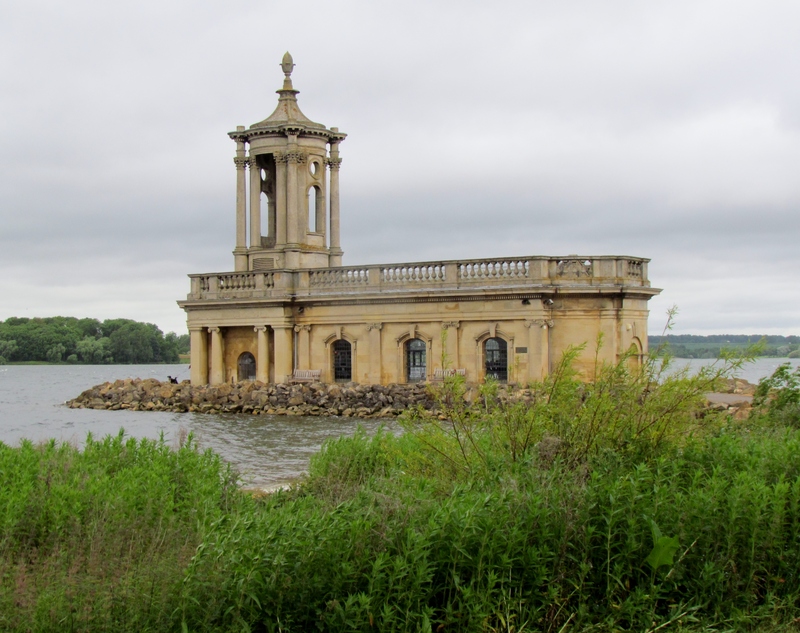 Rutland Water is Britain’s largest man-made lake (based on surface area), and has been extensively landscaped. There is a walking and cycling route all the way round its 25-mile perimeter. Fishing, sailing, and various other water sports are also available. Cruises are available from Whitwell, on the north shore, and Normanton, on the south shore. 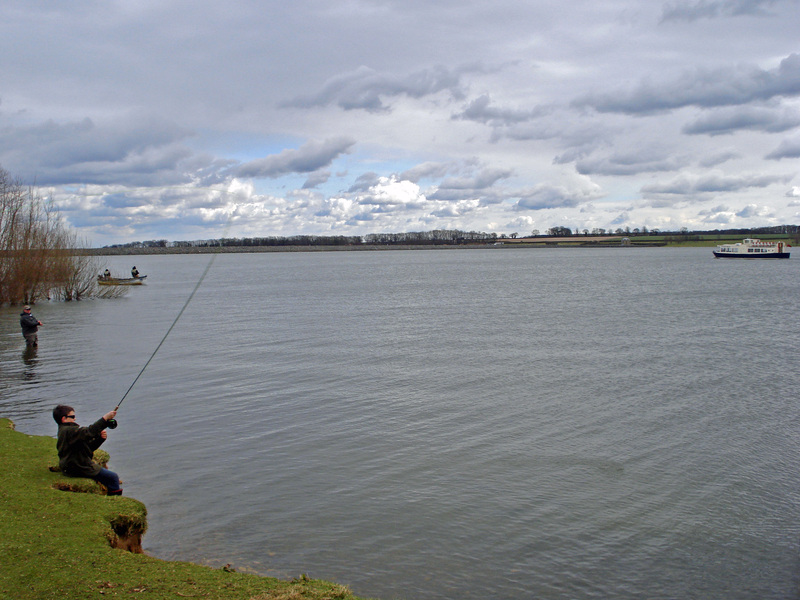 Large areas at the western end of Rutland Water are managed as a nature reserve. This is managed by the Leicestershire and Rutland Wildlife Trust, and is an internationally important birdwatching centre. Rutland Water has wintering populations of Gadwall and Shoveler ducks and, since 1996, has been home to the first ospreys to breed in England for 150 years. St Matthew’s Church is a few minutes walk from Edith Weston car park. Edith Weston is about seven miles west of Stamford, and is signposted from the A1. Follow signs for Rutland Water South Shore.